(…continued) This theme of remembering is also a big theme in the Bible. God wants you to remember a few things about him and what he has done for you. Not only that, he has even given you some tools to help in that remembering. Consider just a few verses. Exodus 20:8 is a familiar one: “Remember the Sabbath Day to keep it Holy.” In this third commandment we are commanded to remember— to remember the Sabbath day– and use that day, it goes on to say, to remember your God who created this world and gave you your life. One more verse, this one from the Easter story. The women, you remember, went to the tomb of Jesus, and were surprised to find it empty. But the angels say to them, “He is not here. He is risen. Don’t you remember; he said he would be raised on the third day?” They had forgotten. But the next verse says, “Then they remembered his words” (Luke 24:8). There is nothing more important in all of life than to remember the words of Jesus. That is more important than anything, because the Bible tells us all else will pass away, but the Word of the Lord will endure forever (Isaiah 40:8). And in that word there is a word for you and me, a word that says we can live again. Jesus said, “because I live, you will live also.” That is a promise well worth believing in, paying attention to, and remembering. It’s a lot of fun to remember the past and talk about how things used to be. But most of all, you want to remember that which will last forever and will never change. Look now again at the verse I began with, Hebrews 13:8: “Jesus Christ is the same, yesterday, today, and forever.” God has acted in the past, yesterday. And God wants you to remember him today, and everyday. And that is so you can be with God forever. The old times and the old-timers disappear, and we disappear; but Jesus Christ and his promises for us are the THE SAME, yesterday, today, and forever. Jesus is alive, and offers the promise of that same eternal life to all who will believe in him. This is a promise, says Peter, “that can never perish, spoil, or fade, kept in heaven for you” (I Peter 1:4). For you. Faith comes by and is sustained by hearing that Word of God and remembering it, says Romans 10. And where do we hear it? Well, we hear it when we worship, if nowhere else. That’s why the third commandment is to “Remember the Sabbath Day to keep it Holy.” And that’s why we go to church– to hear God’s word and to remember who created us and why we are here and what God has done for us and where we are going. The Sabbath Day is one of the TOOLS God has given us by which we will remember him. The Bible, Holy Communion, and prayer are some of the other tools. And in the life of the Spirit (just like in life on the farm) we need tools, and we need to make use of the tools we’ve been given. If it wasn’t for church, I’d just forget all about God. We can’t be expected to be thinking about God all the time, you know. I’ve got a lot on my mind. I’ve got my animals to tend to, and crops to plant and harvest, and the weather to watch, and I’ve got to be wondering how I’m going to feed all my kids and make sure they mind their mother. So half the time, I forget all about God. But come Sunday, I do try to pay my respects to Jesus, and I do stop whatever I’m doing and go the church for that. 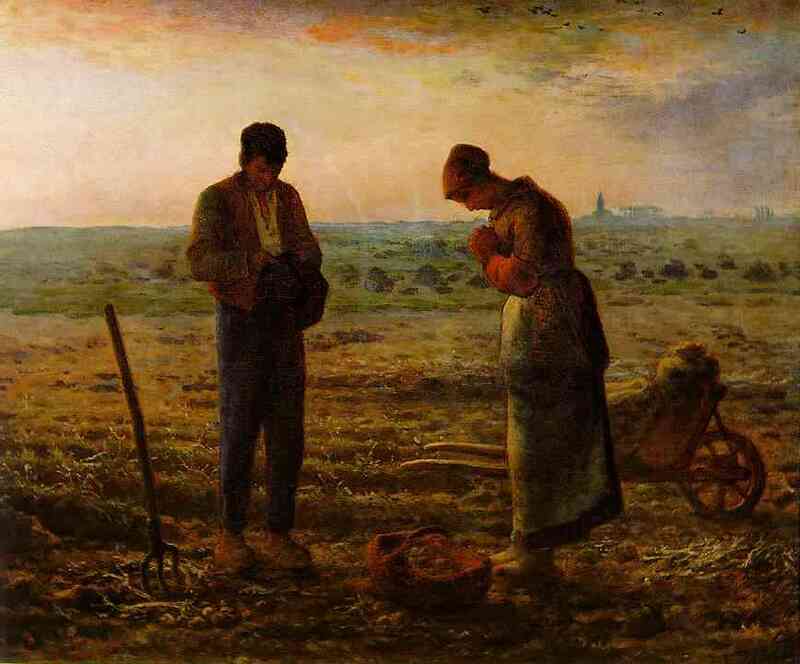 I’m there every Sunday to say ‘Thank you Lord, for another week of working my burden, and thank you Jesus for giving me the chance to do it– to work my land until you say enough is enough, and it’s time to come home.’ There in church is where I remember to say Thank You. That’s where I stop doing everything else and go and remember God. That was a wise farmer. He knew how to remember what is most important. He knew he wanted to remember Jesus. Amidst all the changes of life, “Jesus Christ remains the same, yesterday, today, and forever.” And that’s what we need, and want, most of all– a promise that lasts forever. I enjoy going out to Pioneer Power each year. Much of what’s out there is from before my time, but there are many things I do remember and don’t see anymore. So it’s fun to see it again, and think to myself, “I used to work with one of those.” But such remembering is always a pleasure and a sadness all at once, because not only do we remember the old times, but those memories also call to mind the old-timers, those who we remember using all that stuff. There is a whole way of life recreated on those grounds for a weekend— but it really is gone forever; along with all the people who lived it– also all gone. But not forever, says the Lord. Not forever. “I am the resurrection and the life,” Jesus said, “and he who believes in me, though he die, yet shall he live again.” Remember that.